If there’s one thing BlueGrace Logistics has become familiar with, it’s rapid growth. Not only has the technology, transportation and logistics company grown its employee base considerably— 200 hires in 2016 alone, according to BlueGrace Director of Marketing, Adam White. BlueGrace has also seen a spike when it comes to social. BlueGrace has been using Bambu for seven months and has seen over three million impressions on its content, and the web traffic the company has gotten and continues to generate just from social has increased impressively. From bolstering HR efforts to implementing an immersive employee advocacy program, BlueGrace has leveraged Bambu’s platform, as well as the efforts of its team, to create a successful social strategy. BlueGrace is sales focused, and having a strong employee advocacy program helps with brand identity and awareness, which then helps improves sales. Not all of the sales employees at BlueGrace have time to be active on social, so BlueGrace uses Bambu to build up the bases for those who may not have time to do it themselves. “Those guys don’t have time to update their LinkedIn or Tweet things to their followers,” White said of BlueGrace sales reps, noting that Bambu has helped with building those connections. 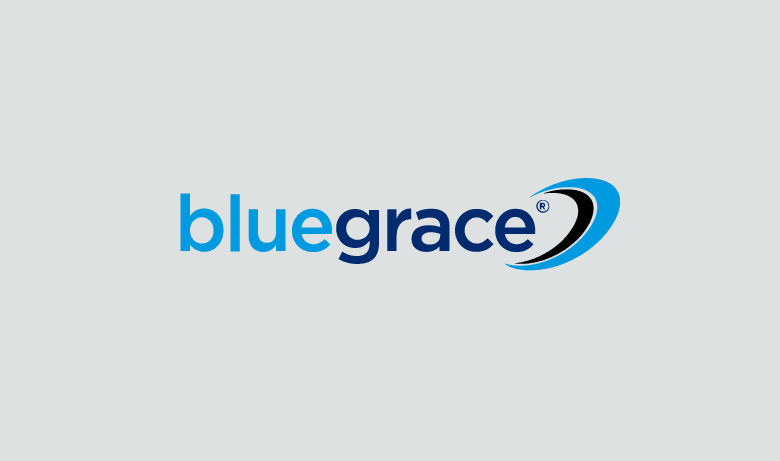 BlueGrace posts a mixture of original and third-party content on social—about 75% is owned media, and the company sees more traction on original content, White said. Before BlueGrace started using Bambu, there was no pipeline for delivering information about the company to employees. Most staffers had personal accounts, and these were not used as much for pushing content—they were more about interactions with customers and employees. Now, employees can either use their current Twitter account, converting it for corporate use, or they can create a new Twitter account—each employee’s handle has the letters “BG” tacked onto the end of it. Employees are encouraged to tweet during work, and when it comes to curating content, anyone enrolled in the system is welcome to do so, White said. Employees have gained solid followings with LinkedIn and Facebook as well, and BlueGrace has recruited sales representatives to write blog posts. But what’s important is that employees across all positions are interactive on social. “From sales, customer support, even accounting—they all interact with our customers in some way,” White said. BlueGrace works to incentivize employees to submit and share content with weekly contests. The company gives out a Tower Tweeter Award each week. BlueGrace’s Social Champion Award offers $100 to the employee who has shared the most content, and its 3 Brand Ambassadors awards offer $75, $50 and $25 for the three staffers who have submitted the most content. “We realized we were missing out by not making everyone a curator,” White said. As soon as BlueGrace opened the option staff-wide, he said, the draft folder was full of ideas. The web traffic BlueGrace has gotten from social since giving all employees ownership over content creation and submission has gone up a huge amount. The primary benefit BlueGrace has seen from Bambu has been branding and overall exposure, White said. The company saw an increase from an average of 250,000 impressions a month on regular corporate accounts to 1 million impressions in a half a month. Over the time BlueGrace has been using Bambu, there has been a 180% increase in web traffic to the company’s main website. BlueGrace is doing even better in the recruiting sector, with a 241% increase in traffic to its careers page since it implemented Bambu. With Bambu, employees put recruiting messages on every social platform they use; as a result, the career page has gone from about 60 weekly hits to 1,000. As BlueGrace continues to add to its workforce, its employee advocacy efforts will expand and evolve. White plans to get even more employees active on Bambu, and he said he expects to reach new heights when it comes to social impressions. Using Bambu, BlueGrace will continue to bolster its social and recruiting strategy, while working hard to convert the leads and web traffic into sales.